It’s normal to feel some anxiety at the thought of having dental surgery. For some people, just the thought of visiting the dentist fills them with fear. But with today’s sedation dentistry practices you can have a relaxed and pain free visit every time. Sedation dentistry is also known as twilight dentistry because unlike general anesthesia you are awake and aware during your procedures. Sedation dentistry is also a good option for children. It is safe and can help calm them and make them less fearful about visiting the dentist. Sedation dentistry uses medication to help you relax and feel at ease. There are four main types of sedation dentistry. Minimal sedation relaxes you but you are still awake. Moderate sedation relaxes you even further, and you may not remember much about your procedure. Deep sedation puts you just on the edge of consciousness. You may fall asleep, but you can be awakened easily. General anesthesia is also considered sedation dentistry. You are put completely under and have no memory of the procedure and you are not conscious. Which type of sedation you receive depends on the type of procedure, your level of anxiety, and your health history. The doctor will talk to you about your options and make the choice he feels is best for you. Your doctor has several choices when it comes to the medications used during your procedure. The following are the main choices used in today’s dental practice. Inhaled minimal sedation puts you into a very relaxed state. With minimal sedation, you can drive home after it wears off. Nitrous oxide combined with oxygen is administered through a mask placed over your nose. This type of sedation is also known as laughing gas. Inhaled minimal sedation wears off quickly. Oral sedation can range from light to moderate. About an hour before your procedure you are given a pill which relaxes you. This pill is usually Halcion which is in the same family as Valium. You will become drowsy, but still be awake. Many people dose off during their procedure but wake up with gentle shake. 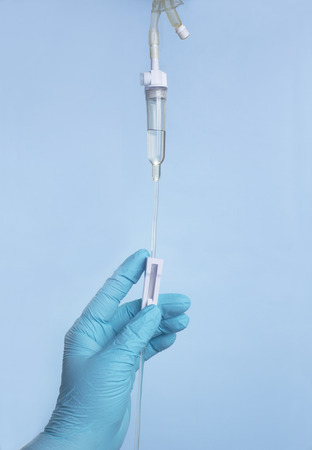 IV moderate sedation is delivered through the vein of one of your arms. It works quickly and allows the doctor to adjust the level of sedation. You may be in light to deep sedation with this method. Deep sedation and general anesthesia puts you under heavy or complete sedation. You are either almost unconscious or totally under. You cannot wake up easily while under general anesthesia until it wears off or is reversed with medication. There is no need today to be fearful or anxious about visiting your dentist. Sedation dentistry makes each visit a relaxed and calm experience. If you have been putting off coming to see the doctor, call or contact Buckingham Dental today and ask about sedation dentistry and its benefits.